The police watchdog is investigating whether high-ranking officers failed to protect victims of child sexual exploitation in Rotherham. The actions of South Yorkshire Police's former senior command team are being looked into by the Independent Office for Police Conduct (IOPC). A report in 2014 found the abuse of 1,400 children in the town over a 16-year period was ignored by agencies. Some 33 officers are already being investigated over the scandal. 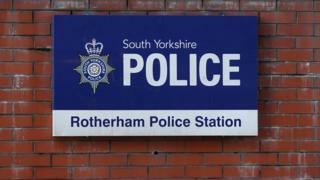 The decision to investigate follows a complaint which was referred to the IOPC by South Yorkshire Police. It is believed to be the first time that a police force's entire senior command team has come under investigation by the watchdog. The IOPC said it would look into whether chief superintendents, assistant chief constables and deputy chief constables who worked for the force between 1997 and 2013 failed in their statutory duty to protect children. Steve Noonan, the IOPC's acting director for major investigations, said it was looking at the entire command team's response and that no individual officer was under investigation. He added: "This is an area we feel needs to be fully investigated to give the survivors and people living in Rotherham confidence that we have carried out a thorough investigation." Known as Operation Linden, the IOPC is already investigating allegations against dozens of officers over the abuse scandal. Mr Noonan said: "Our ultimate aim is to ensure that all those affected can be confident that their complaints have been comprehensively investigated and for South Yorkshire Police and indeed all forces across the country to learn from our findings."